TEN31's extensive costume collection was built through client commissions for specific events and occasions. ​to elaborate, multi-piece installations, we’ll collaborate closely with you to bring your ideas to life. Our client called one day with a question: “We’re putting together a holiday event with a steampunk circus theme with lots of bronze and copper décor. Do you think we can convert some of your existing pieces into a steampunk style?” The result was a perfect marriage of décor and entertainment. See how we converted our ringmaster, tightrope walker and beer maiden statues into steampunk automatons! For an event with over 800 guests at the American Museum of Natural History in New York City, our client wanted to bring the entire museum to life. To achieve this we created a historic 10-piece live-action improvisational installation. 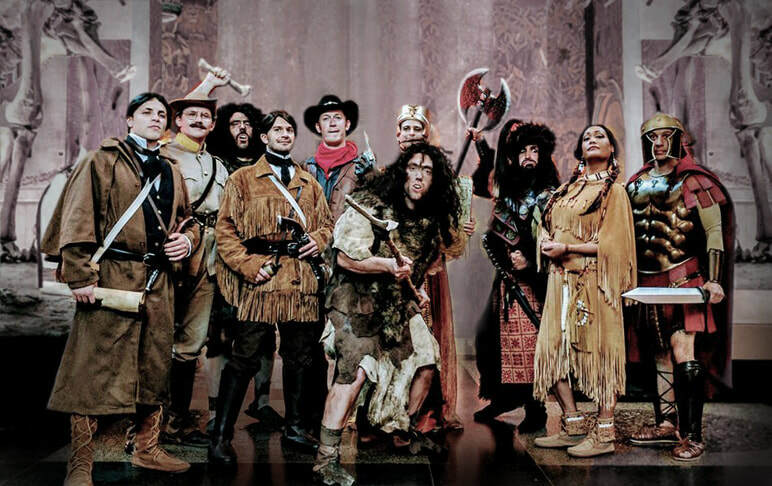 No details were overlooked – from authentic touches of smoked buckskin and hand-hammered armor, we created a fantastic journey into history and back. Event guests had never seen a museum so lively! One of our greatest privileges is, without a doubt, helping prestigious intuitions mark historic occasions or commemorate important figures. 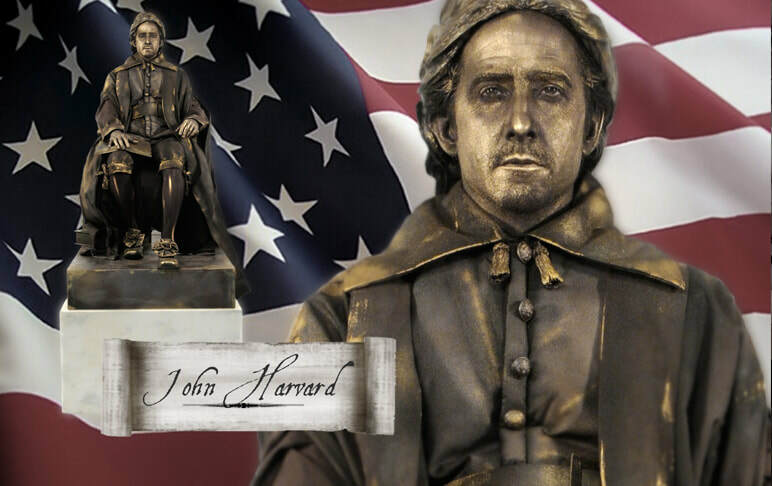 Harvard University approached us to celebrate both John Harvard’s 400th birthday and the 370th anniversary of the university with the creation of a living statue — a replica of the John Harvard statue that sits at the center of Harvard’s Green. TEN31 was honored to recognize these events through featuring our creation at Harvard multiple times in Cambridge and at the Harvard Alumni Global Conference Series in Shanghai, China.